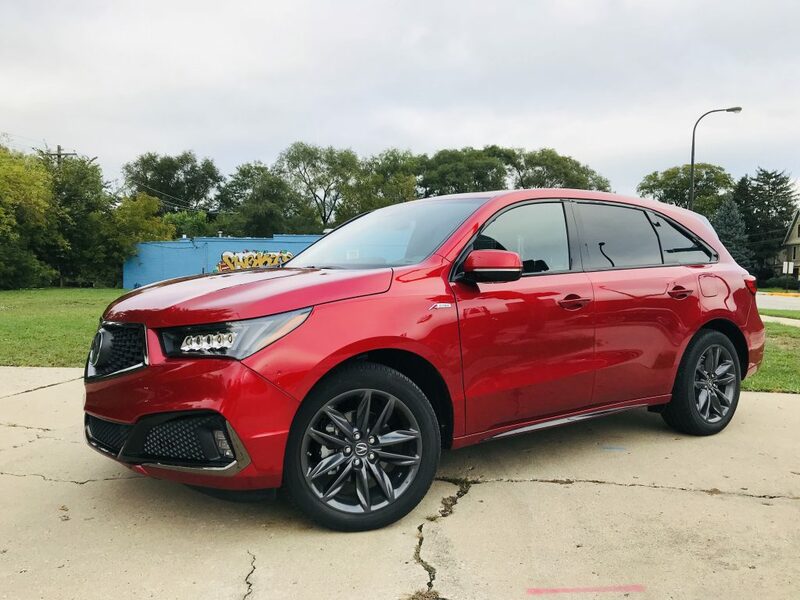 Acura is refreshing its best-selling MDX a year before it’s due for a redesign: The three-row crossover segment moves pretty fast, and Acura wants consumers to look at the MDX yet again. A Spec blacks out the usual chrome trim, uses a buffer lower fascia, features a sleeker rear spoiler, blows up the exhaust tips into cannonlike cylinders and replaces 18-inch wheels with wider 20-inchers. 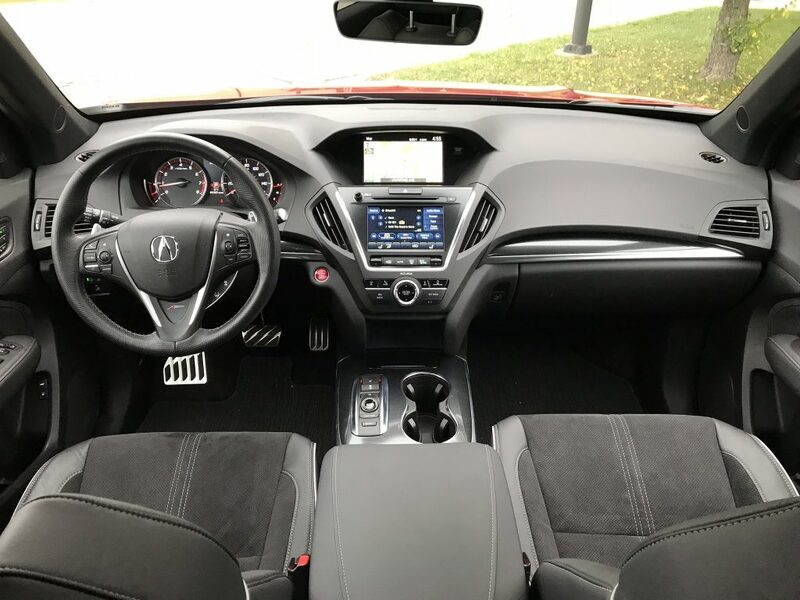 Standard on the MDX is Acurawatch, which includes adaptive cruise and other advanced driver-assistance systems. It’s a deal, especially since the upmarket luxury marques option all the tech all the time. Adaptive cruise goes down to a stop, then the driver taps the accelerator to resume it. The gap between the lead car and the MDX is large, even in the shortest setting, and the automatic braking is smooth for the most part. The acceleration can be slow and uneven. The lane keep system centers the MDX in the lane as it reads the lane lines. It’s easy to use and reassuringly comfortable and convenient. The multimedia controls take getting used to, as in any car with two screens. The top embedded display screen is for navigation, phone and vehicle info. Toggle through those options with buttons below the small lower touchscreen, then use a controller dial on the center stack to go through the menus and to conveniently zoom in or out on the map. The lower touchscreen, which is equally small and narrow, is for audio and climate. 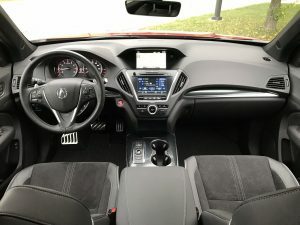 It’s not as refined and unified as the redesigned RDX, but we got the hang of it after a few drives.